Another new Signature Letterpress product coming at you! Please welcome the 5×5 card size to the family. You have been asking for this and we agree that it will make a great addition to the line-up. 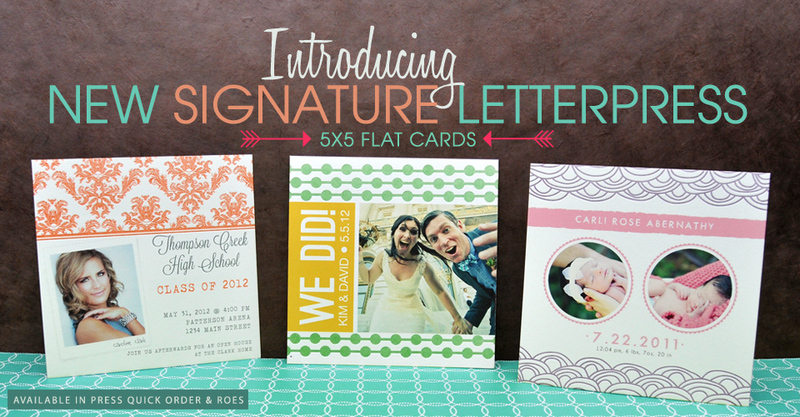 Love what you see and cannot wait to get your hands on these and other Signature Letterpress products? Purchase a Letterpress sample kit for $10. The kit includes a selling booklet displaying all templates, letterpress color swatches, and letterpress cards representing each size available. Place an order for the kit within our Billable Supplies. Take your cards and images to the next level with the high-end look of embossing. Visit the website to begin your Letterpress adventure now.